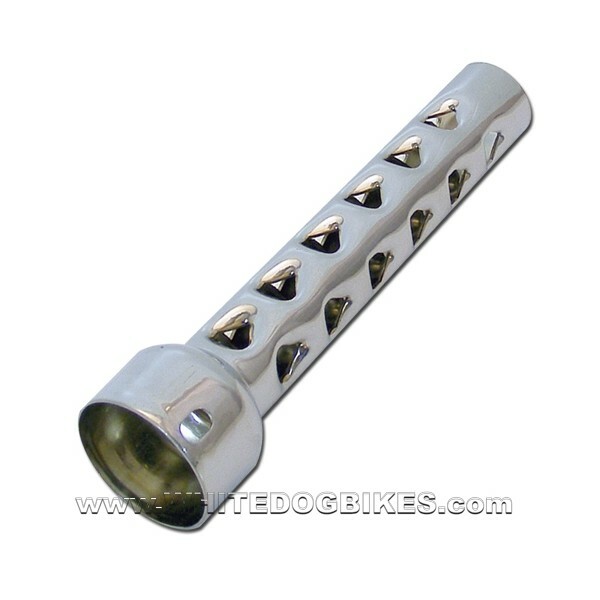 Simple to fit universal removable motorcycle exhaust baffle insert. This DB Killer greatly reduces the noise levels from noisy motorbike exhausts, race cans or end cans if you have lost the baffle! 8 inches long (easily cut with a hacksaw if a shorter length is required). 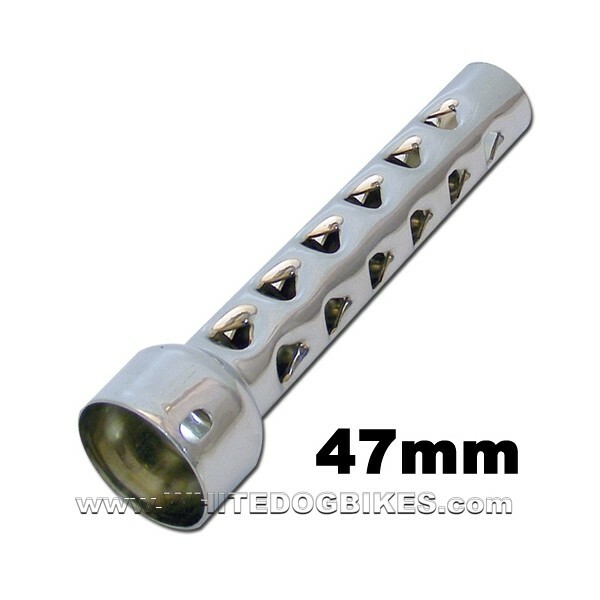 Available with a 35mm, 41mm or 47mm external diameter end. These baffles are ideally suited to inline 4 cylinder engine, conventional exhaust cans (CBR, GSXR, Fireblade, Bandit, R1, R6, Fazer etc) but can be adapted (and have been by many of our customers!) 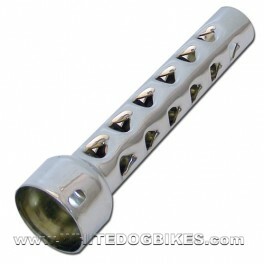 to fit a wide range and style of exhausts. Fitting requires a small hole to be drilled in the exhaust can spout. Please note: This item weighs (approx) 0.33kg. Question: What is the size of the mounting hole at the end of the baffle? 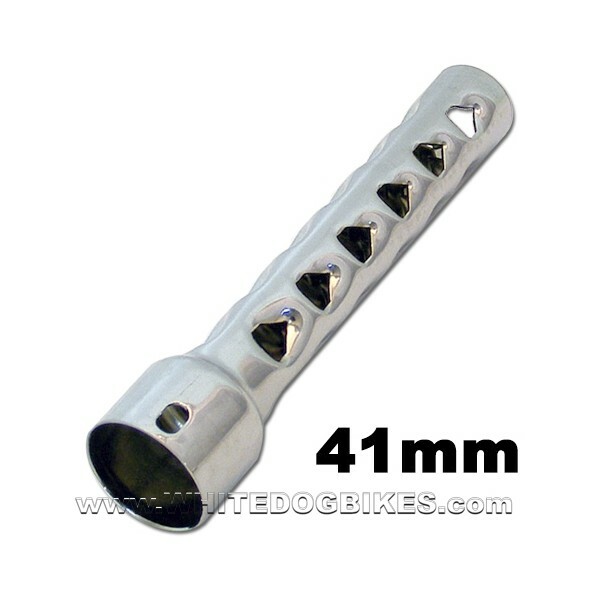 Answer: On the 41mm and 47mm baffle the hole is elongated (11mm x 7mm). On the 35mm baffle the hole is a circle with a 7mm diameter. Question: How thick is the metal used on the baffle? Answer: The metal is fractionally over 1mm thick. Question: Could you tell me the diameter of the smaller part of the tube on the baffle please? Answer: The smaller tubing bit that comes out of the back of the baffle is approx 32mm in diameter (external diameter). Question: I ride a Suzuki GSF650 Bandit with a Remus Powercone exhaust which is far louder than any other exhaust I have heard (baffle fitted). 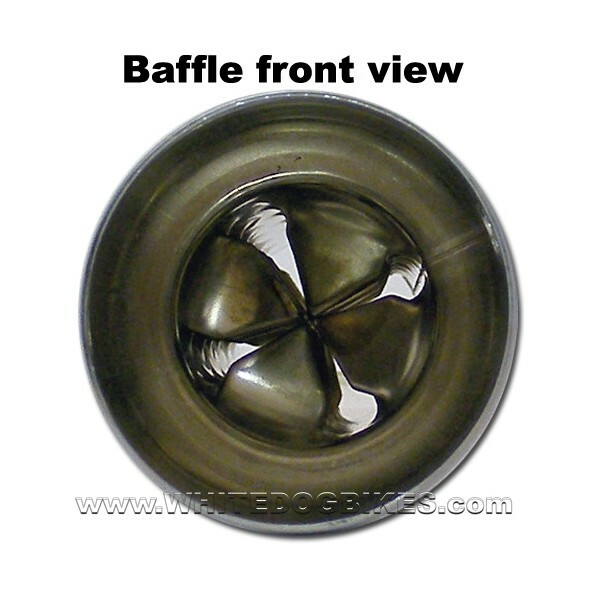 Would your baffle help me with my problem? Answer: It may reduce the noise from your exhaust (bit vague, I know but we have never fitted one to a Remus Powercone exhaust!). The problem you may have is actually mounting the baffle in the exhaust. 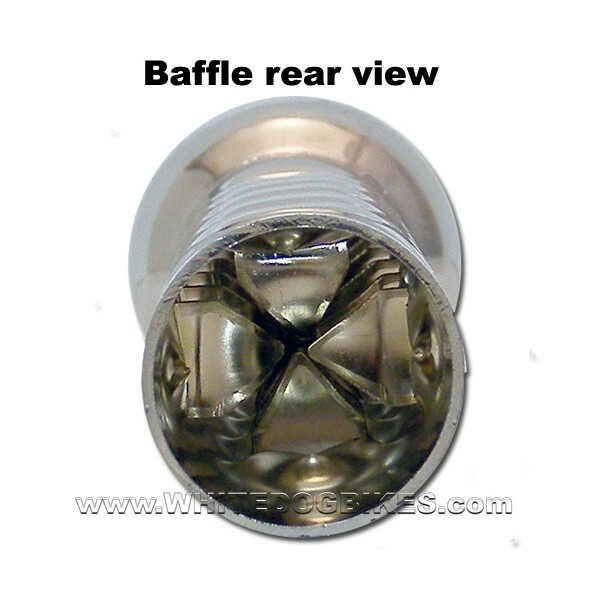 The baffles we sell are designed for more conventional exhausts (with a spout on the end) so I am not sure if you could get the mounting screw that goes through the can spout and the baffle to mount to a Powercone exhaust securely? Question: Can the baffle be shortened to get it to fit? Answer: Yes, the baffle can be shortened by cutting off part of the longer, tube part with a hacksaw or similar. But, we do not recommend shortening the baffle by more than half way (not more than 3 of the triangular baffle holes length) as this will greatly reduce the baffles ability to reduce the sound. Question: How much will this baffle reduce the exhaust noise by? Answer: Difficult to answer this question as it will vary from bike to bike and between exhaust makes. 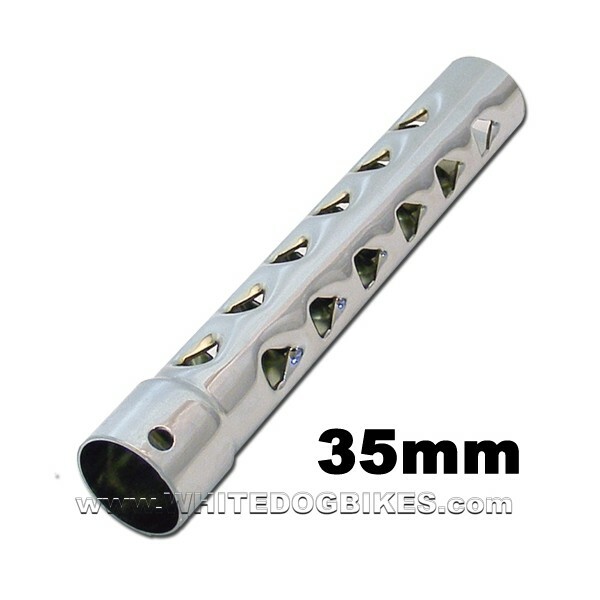 All we can say is we have used these baffles ourselves on inline 4 cylinder engine bikes with race cans and the baffle has quietened the exhaust down enough to get it through an MOT. Question: How thick is the metal used in the baffle? Question: How much would post be to Finland for an exhaust baffle? Answer: Shipping to Finland would be £12.50 for a baffle.